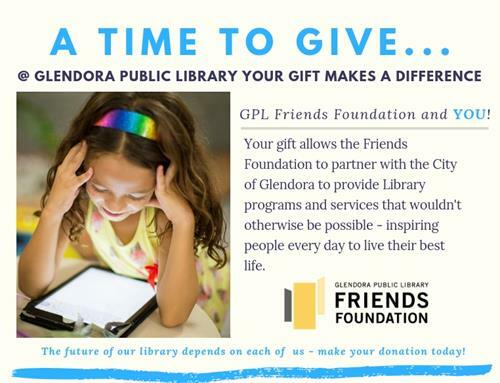 The Mission of the GPL Friends Foundation is to provide financial support, beyond public funding, to connect the community to the world of information and imagination. 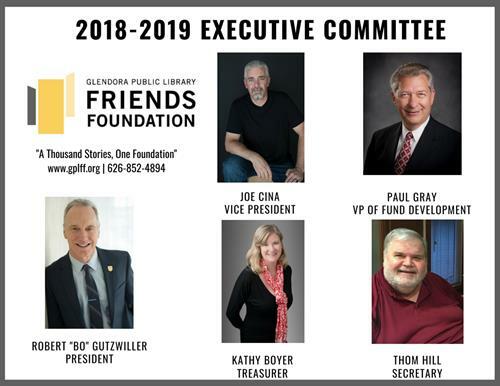 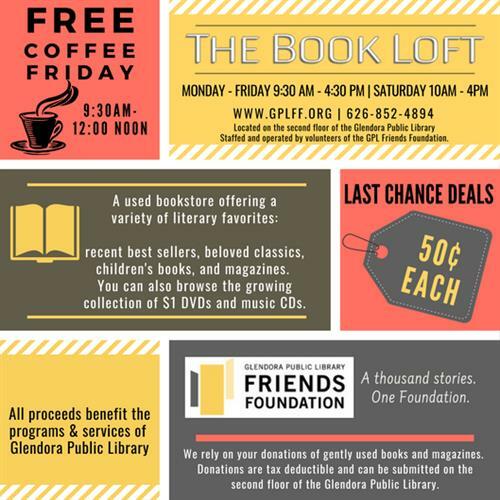 The GPL Friends Foundation was established in 1994 as a 501 (c)(3) nonprofit corporation to partner with the City of Glendora to support and enhance the Glendora Public Library’s programs and services. 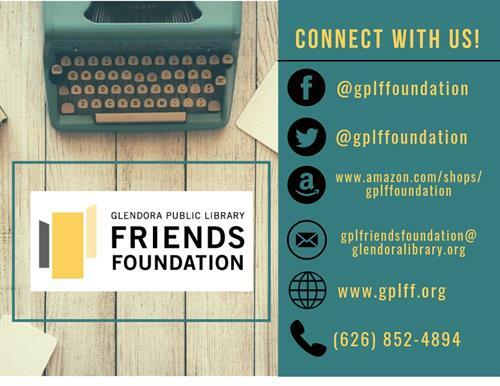 Our Federal Tax ID is 95-3900705.